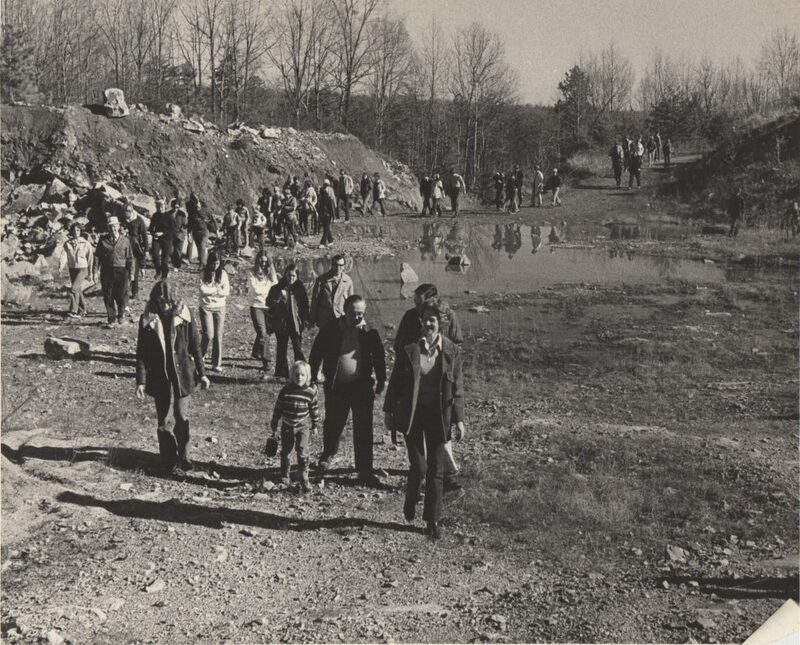 On December 19, the fascinating and important 87-acre Bacon Quarry property became part of Eno River State Park. The property has been a priority for acquisition by NC State Parks for a number of years. Until the sale this month it had been owned by descendants of the Bacon family for more than a hundred years. The Eno River Association has been working with the family since the 1990s to make this purchase a reality. The property is adjacent to Eno River State Park on the south and shares its eastern boundary line with a 41-acre conservation easement acquired by the Eno River Association in 2013. It contains the remains of a former quarry which supplied rock for road construction and maintenance projects between the 1930s and 1960s. The old quarry is the site of a small but vibrant wetland community identified by the National Wetland Inventory, and is now home to the Six-Lined Racerunner Lizard which probably initially rode in on quarrying trucks or equipment. Aside from the former quarry, the land is covered by mature hardwood forest, providing significant wildlife habitat and buffer for aquatic resources. The established forestland creates a protected wildlife corridor allowing movement between privately owned forested lands surrounding the property and Eno River State Park to the south. The property is located along Buckquarter Creek, a primary tributary of the Eno River. Downstream, the Eno River flows into Falls Lake, which provides drinking water for much of Wake County. The stretch of streams flowing through the property is classified by the NC Division of Water Quality as a Water Supply IV – Nutrient Sensitive Waters. The land buffers approximately 200 feet of stream frontage along Buckquarter Creek as well as 2,800 feet along ephemeral/intermittent streams that drain the property. Protection of this land will help maintain adequate supplies of safe drinking water critical to public health and economic sustainability as Triangle populations increase. In addition to its stream frontage, the property contains significant slopes leading down from a ridge line that bisects it, making it one of the highest points in Orange County. If development had been allowed to occur here, these slopes could have experienced extensive erosion, introducing sedimentation and pollutants into Buckquarter Creek and the Eno River. Protection of this property will also help safeguard important habitat by buffering two significant natural heritage areas located to the south of the property: the Eno River/Cates Ford Slopes and Uplands Significant Natural Heritage Area and the Eno River Aquatic Habitat Significant Natural Heritage Area. These natural areas support a number of rare freshwater mussels and fish, including the state endangered Atlantic pigtoe, yellow lampmussel and Eastern lampmussel, as well as the federally endangered dwarf wedgemussel. “We couldn’t be more excited to have completed this acquisition just in time for the New Year.” says Alanna Howard, President of the Association. “We plan to celebrate with our many friends and supporters at our New Year’s Day Hike.” The Association holds an annual New Year’s Day Hike at Eno River State Park, attracting hundreds of hikers for a communal walk in the woods. This year’s hike is on Tuesday at 2pm at the Few’s Ford Access to the Park. Also on December 19, the Association transferred an additional 6.38 acre tract located west of Sparger Road to the State of NC for inclusion in Eno River State Park. Surrounded by the park on two sides, this property was purchased by the Eno River Association in 2015 and has been donated to the park to buffer the Eno River and the Mountains-to-Sea Trail in an area where the park is narrow. A portion of the property is within the Middle Eno River Bluffs and Slopes Significant Natural Heritage Area and is just uphill from the Eno River Aquatic Habitat Significant Natural Heritage Area. A section of the NC Mountains-to-Sea Trail is located approximately 150 feet west of the property. 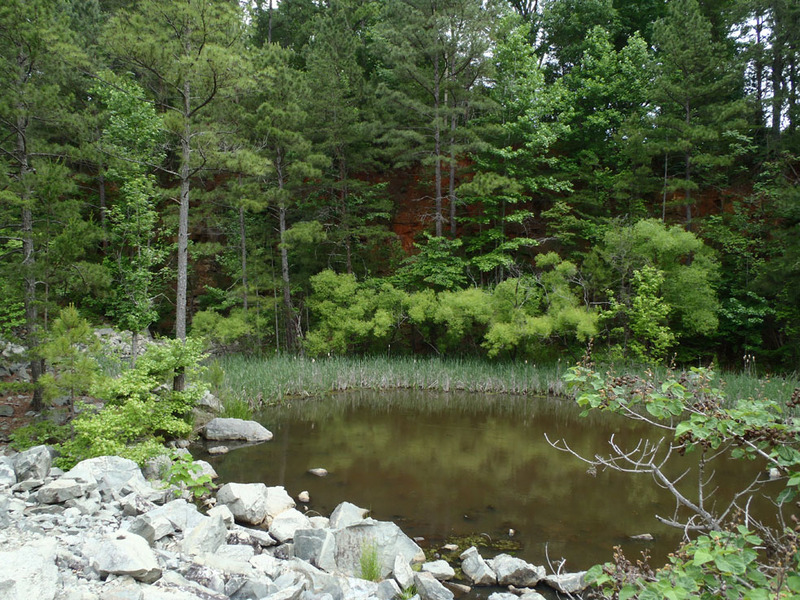 Funding for the Bacon Quarry project came from the State’s conservation trust funds, with both the NC Parks and Recreation Trust Fund and the NC Clean Water Management Trust Fund participating. 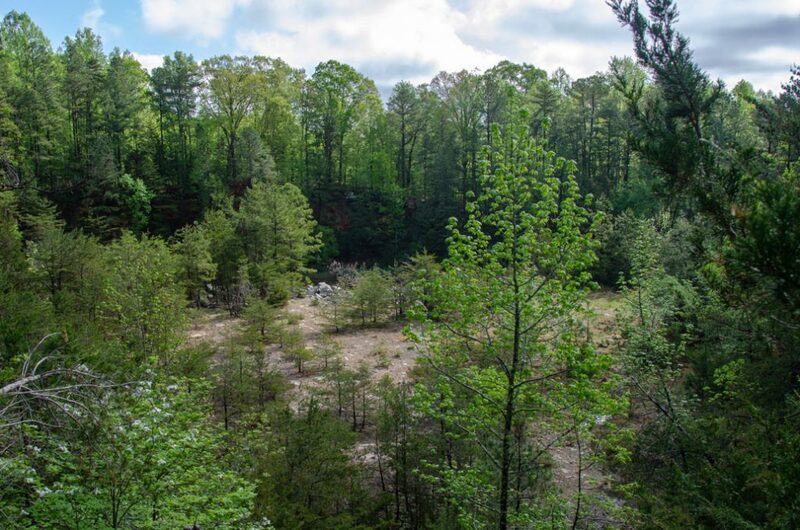 The 6.38 acare tract was acquired by the Eno River Association using donations made to the Association’s Margaret C. Nygard Land Acquisition Fund. The Eno River Association has been working on land and water quality conservation along the Eno River for more than 50 years. It was instrumental in advocating for the creation of the Eno River State Park in the early 1970s and continues to actively work to expand park holdings and other protected areas throughout the Eno River basin. The Association’s efforts have resulted in more than 7,000 acres of protected land in the watershed. For more information about the Association’s conservation activities or the New Year’s Day Hike visit www.enoriver.org, contact the Association Office at (919) 620-9099 or email association@enoriver.org.